> Blog > Pest Information > Welcome Fall and Welcome Box Elder Bugs! You may be starting to notice an increase in the presence of Box Elder Bugs around your home as the temperatures begin to cool. These little guys can be a nuisance; however, they are totally harmless to you and your loved ones. Box Elder’s are about ½ an inch long and are black with three red lines on their thorax, a red line along each side of their body and a red line on each wing. Their wings lie flat on their back at rest. A Box Elder’s eggs are a rusty red colour and are very uncommon to see. Most often eggs are deposited on boxelder trees. Young nymphs are red and grey and the transition from nymph to adult is a gradual one. It is common to see an influx of Box Elder bugs in the autumn as the weather starts to cool. They gather on the warm outside walls of homes and sometimes find their way indoors in search of a warm place to stay for the winter. Box Elder Bug’s access buildings through cracks or other openings and remain in the wall cavities. One great thing about these pests is, while they do tend to be everywhere in the fall, they will not breed indoors leaving you with an infestation. These little nuisances’ also cause no structural damage. Fortunately, the only real cause for concern with a Box Elder Bug is that they can “spot” furnishings with their droppings. They do not bite, or eat anything inside your home leaving your and your family safe from bug bites and harm. The most effective way to avoid a presence of Box Elder Bugs is to remove any near by female boxelder trees. Chemical control can also be used and is best when you spray nymphs on the host trees before the adults have had a chance to migrate. Typically, power spray equipment is needed so it’s always recommended to contact your local pest management company. Once Box Elder’s have moved into any cavities or cracks around your home, there is not much you can do to get rid of them. Control or exclusion are your best options at this time of the year. Removing box elder trees in the area will also prevent further breeding. Caulking windows and doors, and repairing screens and windows will keep the indoors pest free as they look for a warmer climate. When the bugs decide to leave your home, some of them may attempt to join your warm indoor atmosphere. If you notice the presence of any Box Elder’s indoors, be sure to vacuum them up to avoid squishing them and staining walls or fabric. 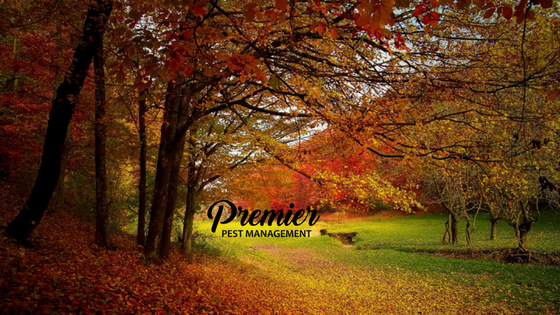 If a small problem is now becoming a large one, contact Premier Pest Management for assistance in solving your pest control problem.